Lucina’s Rage and Cluster Conundrum are previews from a puzzle collection that we’ll be debuting next month. I encourage you to give them a try! A small warning: many players will find them quite tough! A number of other remarks on puzzle content will be posted early next week, alongside an announcement of the forthcoming puzzle collection, our new difficulty scale for puzzles, and much more. Redeemer – Cost decreased from 9GGB to 8GGB, but your opponent now gets 6 Gauss Charges instead of 5 Gauss Charges. We’ve mentioned before that Redeemer’s design makes it uniquely difficulty to balance, because there is a huge amount of situational variance in the strength of an undercosted unit with a drawback that doesn’t manifest until several turns after the unit is purchased. Though it doesn’t exhibit a strong p1/p2 imbalance, we nevertheless feel that the current (9GGB) Redeemer is still a bit too forcing as an early-game purchase and too influential in the manner that it affects openings, so we’ve aimed this change at slightly reducing the unit’s power in the early game, while still making it viable in most matches. We considered a number of other options for the unit—chief among them, a strict cost nerf from 9GGB to 10GGB. However, we felt that such a nerf might have been unnecessarily harsh, so we have softened it by effectively removing an Engineer’s cost from the Redeemer while giving the opponent an extra Gauss Charge. (Think of it like this: if you buy an Engineer alongside the new 8GGB Redeemer and use that Engineer to defend against the wave of Gauss Charges, the end result will be similar to a 10GGB Redeemer that creates one less Gauss Charge.) With that in mind, we might revert to the [10GGB, 5 Gauss Charge] version later if the [8GGB, 6 Gauss Charge] Redeemer turns out to be too strong. However, we look forward to deploying the 8GGB variation to the alpha server for the time being. Corpus – The cost of the unit’s click ability has been decreased from 5R to 4R. Upon investigation, we found that the current Corpus was seldom being clicked, so we’ve decided to test out a substantial buff of the unit’s click ability. Our initial pricing of the ability at 5R was somewhat conservative (we’ve never felt that red defenders should be particularly cost-efficient), but after reviewing the unit, we’re confident that a more aggressively priced click ability will provide better gameplay by giving players a reason to keep their initial Corpus alive beyond the turn when it is first purchased. Even at 4R, the click ability is still weak when defense is urgently needed in high-pressure situations. We investigated reducing Corpus’s stamina to 1 to guard against overly defensive use of the unit as a source of damage soak, but we’re going to try a 2-stamina version of the unit first and see what happens! These changes will go live on Friday. I’ll be posting a separate article later this week, in which I’ll discuss our plans for finalizing game balance in a bit more detail. Look for it in a few days. 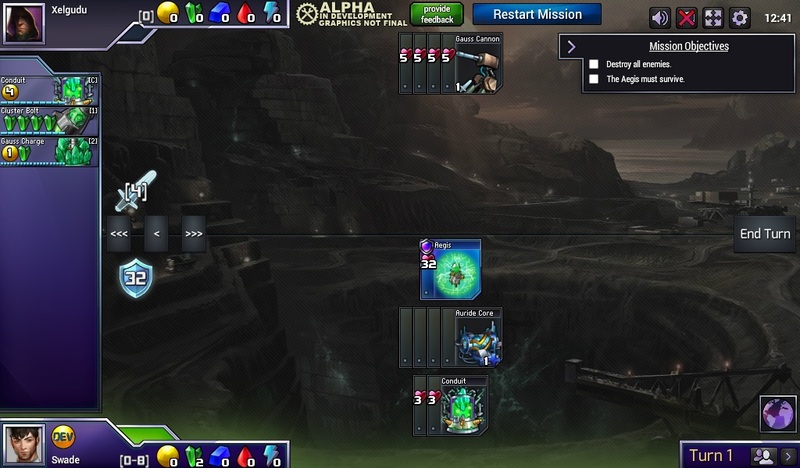 If you missed out on the Prismata Masters grand finals, the VODs are available and some incredible Prismata games are featured. Skip to 1:58 if you’d like to see the match whose blueprint set was featured in this week’s event. This mysterious item of questionable value made its appearance in last week’s event. What is it? 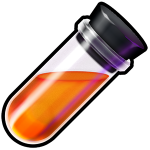 A new collectible will be added—Infusions, which can be used to enhance your emotes. The emote equip menu will be replaced with a completely overhauled and updated menu supporting Infusions, search, and many other new features. The in-game emote panel will display all owned emotes in a scrollable list, and an unlimited number of them can be favourited. The armory and black lab will be updated to sometimes award Infusions as prizes. High-rarity skins will be receiving particle effects and other enhancements to their appearance. Bundles will be added to the Prismata shop. We will be testing a new option that will allow the direct purchase of skins for shards. We’ll be showing this stuff off in a video next week, with deployment in early June. Keep your eyes peeled for them.